18 months later, the two companies confirmed Nintendo-themed attractions would be built in Universal’s parks in Japan, Hollywood and Orlando. Fast forward to 2019, and Super Nintendo World is indeed under construction at Universal Studios Japan. U.S. fans, however, are still waiting for any sign that the likes of Mario or Donkey Kong will be coming to its Universal parks anytime soon — while Universal Studios Singapore is now confirmed to be getting Nintendo attractions by 2025 as part of a $3.3 billion expansion. Nintendo isn’t giving many answers. 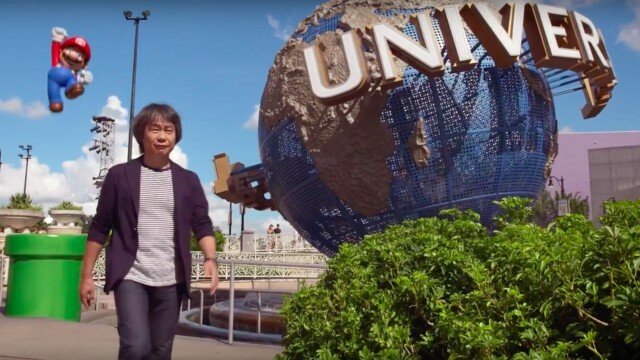 Legendary Nintendo game producer Shigeru Miyamoto said in February that any announcement would have to come from Universal, but assured Nintendo investors the Japan project would open before the Tokyo Olympics open next year, followed by the U.S. parks. Universal is similarly tight-lipped, as it often is regarding new attractions. Universal Orlando representatives did not respond to Orlando Rising’s requests for comment on this story. 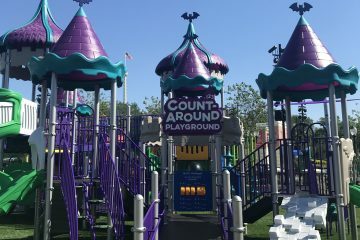 Reports from WFTV and OrlandoParkStop.com in November 2017 pegged Woody Woodpecker’s KidZone in Universal Studios Florida as the future site for Nintendo attractions. No construction ever began, as Universal’s attention turned to a 541-acre parcel of land it owns along Universal Boulevard for building another theme park. “Universal always keeps their plans close to the vest. In this case it worked out well for Universal, as they began to realize that the project was big enough to be in a new theme park rather than being added to one of the existing parks. 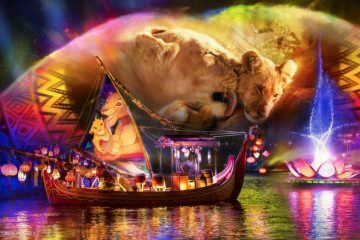 Then the land purchase went through completely, and the designs changed to accommodate that,” said Bill Zanetti, a founding member of the University of Central Florida’s Entertainment Management Advisory Board. The future park, rumored to be called Universal’s Fantastic Worlds, could support much a much grander vision for Nintendo attractions than the more limited space available at Universal Studios Japan, so Orlando likely won’t get a carbon copy of that park’s Super Nintendo World. Later rumors placed Nintendo attractions in both of Universal’s existing parks. According to these supposed plans, Universal Studios Florida would’ve seen Pokemon take over KidZone while The Legend of Zelda replaced what left’s of Lost Continent at Islands of Adventure. 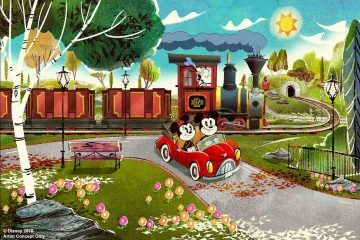 Those plans were also shelved, according to a January post from Theme Park University, this time because they were too risky. As TPU blogger Josh Young wrote, Universal “began to get cold feet” over the idea of betting big on Nintendo when it had yet to prove it would connect with theme park guests. Universal similarly hedged as it built The Wizarding World of Harry Potter a decade ago, reusing some existing attractions and restaurant spaces for Hogsmeade. Only when it became a massive phenomenon, with attendance at Islands of Adventure jumping by 30 percent from 2010 to 2011, did Universal go all-in with a Potter-themed expansion into Universal Studios Florida. But hedging doesn’t seem necessary, considering the long-term strength of the Nintendo brand. Having been a cultural force in the U.S. for nearly 35 years, Nintendo hits a cross-generational sweet spot — popular with both adults who grew up playing Nintendo games in the ‘80s and ‘90s and their kids — that makes it perfect for theme park exploitation. No Orlando park wants to bet on intellectual property when it’s on a downswing, but Kelly doesn’t see any reason why Nintendo’s characters should decline in popularity anytime soon. “Their history suggests they will never let that happen,” he said. The Wizarding World of Harry Potter solidified Universal Orlando as a true competitor to Walt Disney World. The immersion and attention to detail drew plaudits from every corner of the entertainment industry. And it also woke up the Mouse. Disney has since looked to one-up Universal on immersive theme park design, starting with Pandora: The World of Avatar at Animal KIngdom. That evolution will truly be judged when the heavily-hyped Star Wars: Galaxy’s Edge opens later this year, first in Disneyland in Anaheim on May 31 followed by Disney’s Hollywood Studios on August 29. Universal has its own additions to attract new or returning guests this year. The Potter-themed Hagrid’s Magical Creatures Motorbike Adventure opens on June 13, a “highly-themed coaster” that signals a change from the screen-based rides that have begun wearing on Universal guests. But rather than fast-track its Nintendo attractions to keep pace with Disney, Universal can afford to sit back and see what the competition has to offer — and then respond in kind.